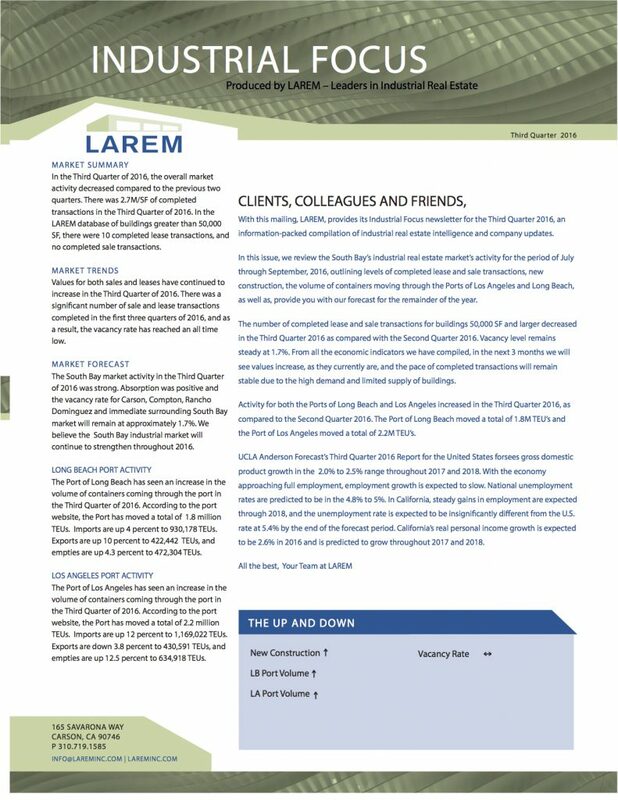 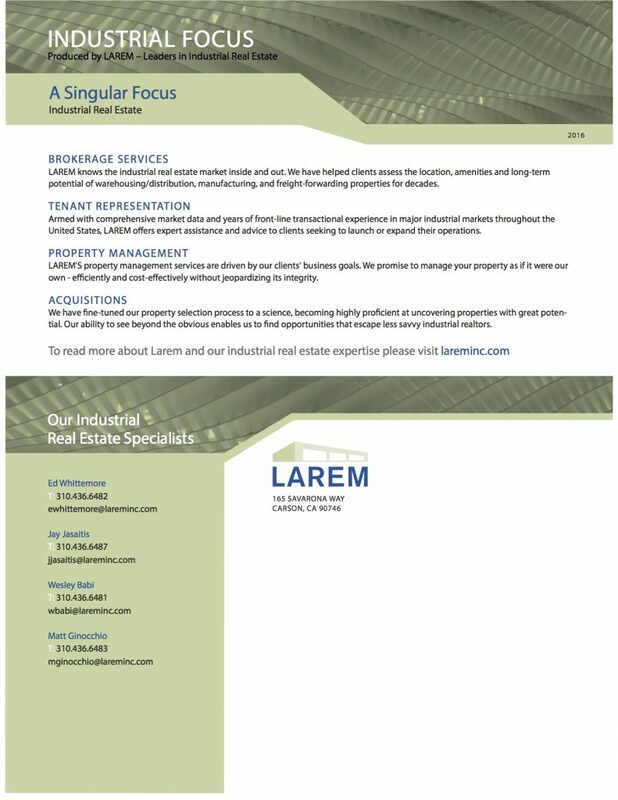 3rd Quarter Report 2016 | LAREM, Inc.
Our 3rd Quarter Report for 2016 summarizes the South Bay’s industrial real estate market’s trends and forecasts, local port activity, company lease and sale transactions, and featured available properties. 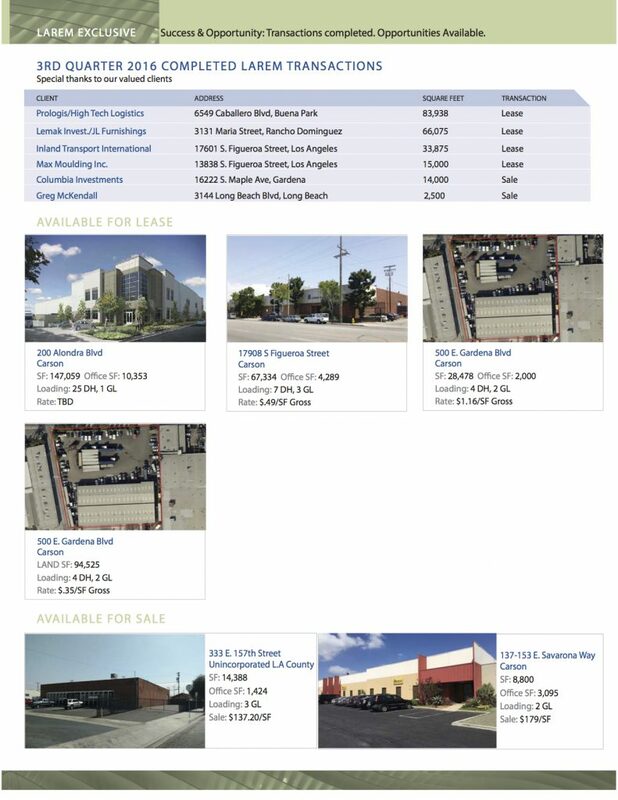 Please click on each image to zoom in on key information, or click on the link below to download a PDF of the complete report. 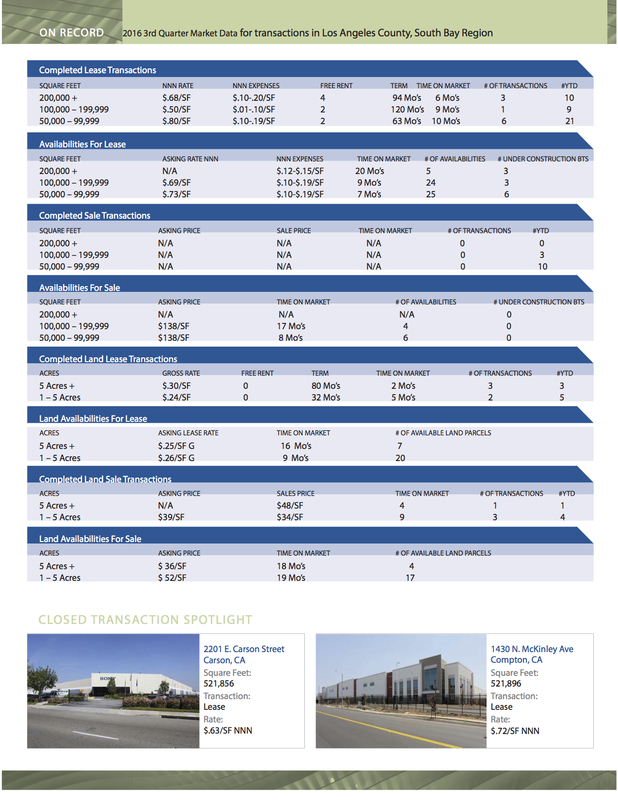 Click below to download the complete report.